We have been enjoying it’s antioxidant value for a number of years. For those of you who don’t know, organic cacao is considered a Mayan ‘super food’. In ancient Mayan culture cacao was revered as the drink of the gods. Only the elite of Mayan society could afford to drink it as the seeds were used as currency. Only rich people can afford to drink their money. Colonists discovered the cacao drink and brought it back to Europe where it became a fashionable drink among the high society. In the present cacao is sold worldwide as the main ingredient in chocolate and hot cocoa powder, but the Mayan still prepare it and drink it the way their ancestors used to. The Cacao Tree (Theobroma cacao) produces pods (the fruit) about the size of a football. Its seeds (cocoa beans), are used to make cocoa powder and chocolate. What’s the difference between cacao (pronounced “cah-cow”) and the cocoa powder that I can buy in the grocery store? Cacao is ‘cold’ processed and is a raw organic product that has more (apparently much more) antioxidant value and nutrients than Cocoa (which is heat processed). Cocoa is always heat processed (which evidently destroys antioxidants). Navitas Naturals cacao beans are hand-selected for quality, partially fermented to alleviate bitterness, and processed at low temperatures for maximum nutrient retention. Once extracted from the pod-like fruit, purified water is used to cleanse the beans. The whole beans are peeled and cold-pressed to form a paste, the bean’s oil is extracted, and our nutrient-dense cacao powder is formed. Navitas Naturals Cacao Powder contains 100% pure cacao powder that is certified organic, kosher, gluten-free, vegan, and raw. Cacao powder is high in polyphenols, catechins, epicatechins and flavanoids. Because of it’s high antioxidant power we sometimes use this Cacao Powder to make healthy and delicious smoothies along with other healthy ingredients. Note that cacao powder is not real sweet like ‘sweetened chocolate’. It also doesn’t dissolve readily like other processed chocolate / cocoa powders. 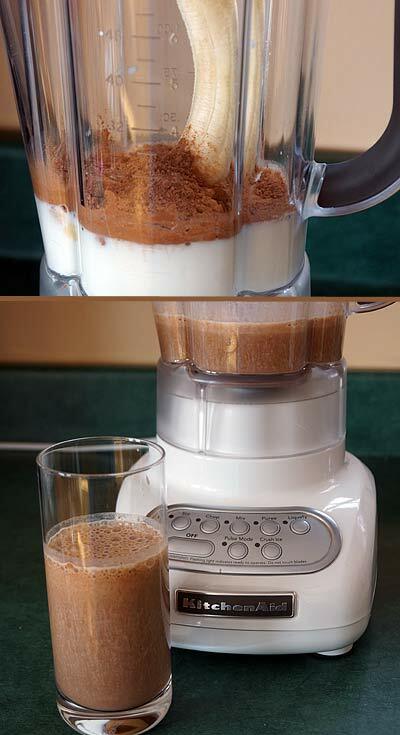 However a blender and other ingredients will assist in formulating your own unique palatable blend! It makes a good (apparently healthy) alternative to processed sweet chocolate. I didn’t realize there was a difference between cocoa powder and Cacao powder, besides the price. This is good to know. I will have to order some Cacao powder. I enjoy a mug (or two) of cacao every morning. I’m having some right now; Navitas brand as a matter of fact. So I sort of had the one raised eyebrow reaction when this popped up on screen today. Since I make it with boiling water, perhaps some of the vitality is lost, but I like it a lot. I used it successfully to wean myself off coffee, which seems to have helped my blood pressure. I make it with a heaping tablespoon into hot water, a spoon of turbinado sugar and a bit of half&half on top. It’s a great early morning beverage, especially in cold weather. I’ve been making the smoothies using the recipe you (Ken) posted along time ago using this powder. I’ve changed from typically using almond milk to using kefir though. The lecithin is an emulsifier that helps with the arteries and burning fat. It has phosphatides and linoleic/linolenic acids, which are good things! Then again, my two ex-wives may disagree on the brain function thing…. It’s brown, looks like chocolate, I am willing to try it. And it’s healthy! Thank you for the explanation. I have wondered what the difference was. If one was making “snack bars”/”granola bars” “chewy bars”, would be an easy place to add this too.